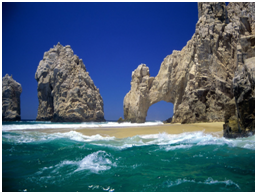 Bordered by the Pacific Ocean to the west and the Sea of Cortez to the east, with the towering La Laguna mountains a scenic backdrop, Cabo San Lucas and the whole Los Cabos area is known as a premier destination for outdoor sports and recreation. 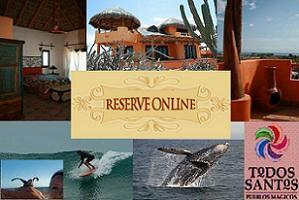 Fish, golf, snorkel, cruise, surf, explore, swim with dolphins or spend a lazy day at the beach. From Todos Santos take Hwy 19 South. A one hour drive. 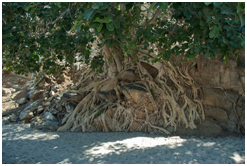 Located 120 Km south of La Paz, along the road through San Antonio and San Bartolo, there is access to the numerous beaches facing Punta Pescadero and the area that is known as Rancho Buena Vista and Los Barriles. Sensational sportfishing, diving, windsurfing, kitesurfing and trekking are just some of the numerous adventure activities that await you. Take Hwy 19 South to Cabo, continue East towards San Jose and then North along Hwy 1 to the East Cape. Approximately a two and ½ hour drive. From Cabo you can also take the “Rural Coastal Road” to the East Cape. It’s a 3-4 hour drive on a dirt road that follows the coast. 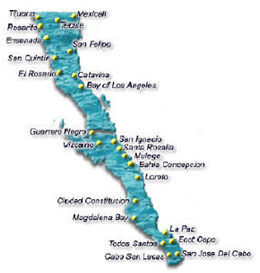 From Todos Santos you can also reach the East Cape by driving North along Hwy 19. At the intersection with Hwy 1 bear right and follow Hwy 1 over the mountains and along the scenic road as it descends towards the Sea of Cortez. Approximately a two hour drive. 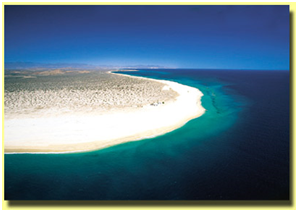 La Paz (Spanish for “The Peace”) is the capital city of the Mexican state of Baja California Sur and an important regional commercial center. 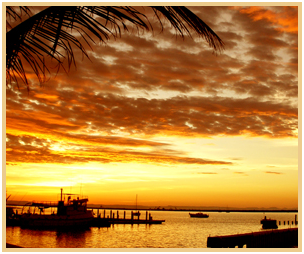 La Paz is situated on the sea of Cortez with several small islands nearby. Excellent for snorkeling, kayaking, scuba diving, and if you are into killing other creatures for fun, fishing, or just relaxing on one of the sandy beaches south of town. To go to La Paz from Todos Santos follow Hwy 19 North which will merge into Hwy 1 North to La Paz (bear left at the intersection). Approximately a one hour drive. Over a hundred years after silver was discovered in the southern Baja mountains at San Antonio, silver and gold were discovered in a nearby mountain area, soon to be called El Triunfo (The Triumph). By 1865 this once-sleepy cattle ranch became a boom town of approximately ten thousand souls. 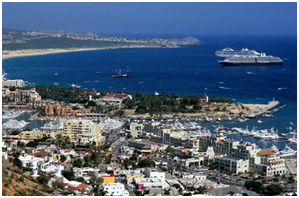 It was, at the time, the largest settlement in all of southern Baja! 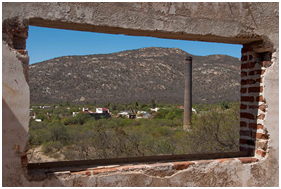 After 60 some-odd years of mining, El Triunfo finally closed its operations in 1926. The tall chimney and surrounding brick buildings just in from the south side of the highway are the remains of the old smelter. Don’t miss the piano museum. A pizza or a sandwich from the recently opened restaurant El Triunfo Café owned by Marc of the Todos Santos Café will make this day trip even more enjoyable. From Todos Santos drive North on Hwy 19 for about 30 minutes, at the intersection bear right on Hwy 1 South towards the East Cape and back to San Jose del Cabo. Hwy 1 will pass right through the center of town approximately half an hour later. This is a small Indian pueblo in the Sierra Laguna mountains about 40 minutes south of Todos Santos . 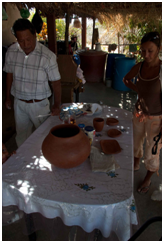 Here potters make clay pottery in brick pit kilns. You can buy directly from the manufacturer. From Todos. Santos take Hwy 19 South towards Cabo San Lucas, right before passing the Migrino Bridge at Km 100 pull over to the right where the Baja Adventure ATV rental place is. Here you can either drive your four wheel drive to the town or rent an ATV. You will need a four wheel drive, do not attempt this with you Volkswagen Beetle, you will get stuck in the deep sand. Take the dirt road to the dry river bed and pass under the bridge and towards the mountains. There are many paths you can take. Shortly after passing through an opening in a fence bear to the left for another few minutes and at the fork in the river take a right. You will see a building on your left, go towards it but take the narrow road to the left that goes uphill. A beautifully lush oasis will be on your right below you as you ascend towards the town. There’s no restaurant in La Candelaria bring your own food and drinks.